Coinilla is a bitcoin payment gateway. We provide all tools you need to accept bitcoin on your website. We have ready to use plugins for you to start accepting bitcoin in minutes! 1. register in our site ( www.coinilla.com ) and get an API Key. 3. from `Extensions` menu select `Payment`. 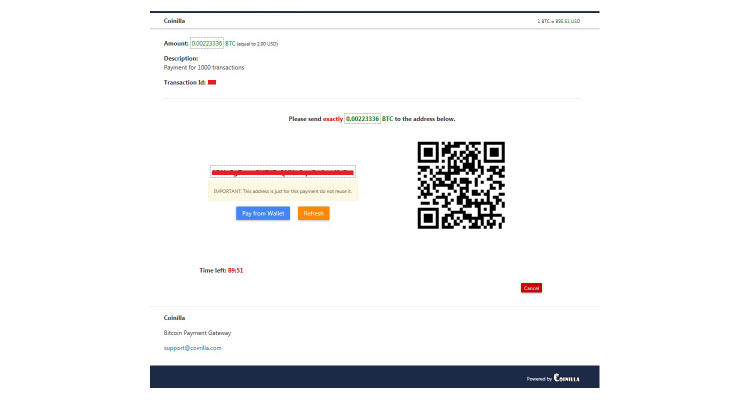 5. click on `Coinilla Payment Gateway` and set it up.